AMALIA, N.M. (AP) — Searchers found the remains of a boy after raiding a makeshift compound last week in search of a missing Georgia child, authorities said Tuesday. The remains were found Monday during a search in Amalia, near the Colorado border. Taos County Sheriff Jerry Hogrefe said. Authorities were awaiting positive identification of the remains. The search for Abdul-ghani of Georgia led authorities Friday to the squalid compound where they found Siraj Ibn Wahhaj, the father of the missing boy, along with four other adults and 11 children living in filthy conditions. The sheriff said authorities returned to the compound after interviews Friday and Saturday led them to believe the boy might still be on the property. Wahhaj was expected to appear in court Wednesday on a previous warrant from Georgia that seeks his extradition to face a charge of abducting his son from that state last December. Abdul-ghani was believed to have been at the Amalia compound as recently as several weeks ago, Hogrefe has said. 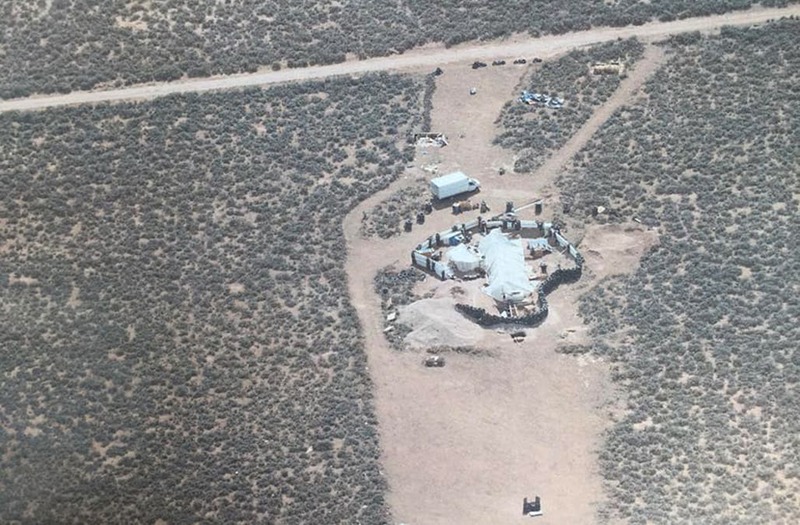 Badger said he had concerns about the compound near the Colorado border. But he says the courts and other authorities shot down his attempts to break up the encampment — described as a trailer buried in the ground. Morton was among the five adults arrested after the raid. The adults, including the missing boy's father, have been charged with child abuse. AP writers Mary Hudetz in Albuquerque and Kate Brumback in Jonesboro, Georgia, contributed to this report.